Whether you are the driver or passenger on a motorcycle, it’s important to take the proper safety precautions. While we cannot control whether other drivers pay attention, look twice before changing lanes or keep a safe distance, riders can take certain steps to make the riding safer. Some safety precautions for motorcyclists have differed throughout the years; one of them being whether a helmet protects the cervical spine (neck) in an accident. A cervical spine accident can be described as a catastrophic injury that occurs to the spinal cord between the levels of the first cervical vertebrae (C1) and the seventh cervical vertebrae (C7) – essentially the neck. The spinal cord is a bundle of nerves that extends from the base of the brain down through the first or second lumbar vertebrae. While many were skeptical about whether a helmet truly could help protect a motorcycle rider from a cervical spine injury (specifically), researchers from the University of Wisconsin Hospital confirmed that during a motorcycle accident, a motorcycle helmet will lower the likelihood of cervical spine injuries. This study was solely performed to study the many claims that helmets didn’t actually prevent or limit cervical spine injuries or even motorcycle deaths. Researchers studied 1,061 patients who had been injured in a motorcycle accident. The study was performed between 2010 – 2015, and examined 30% of patients who were wearing helmets during a motorcycle accident and 70% were not wearing a motorcycle helmet at the time of a motorcycle accident. (Note: not all states require riders to wear helmets). Of those motorcyclists who were wearing motorcycle helmets, versus those riders who were not wearing motorcycle helmets, the percentage of motorcyclist injury or death was significantly different. Cervical spine injuries occurred more often in riders who were not wearing helmets at the time of a motorcycle accident as compared to those motorcyclists who were wearing helmets during a motorcycle accident. Additionally, ligament injuries were also lower in those wearing motorcycle helmets as compared to those riders who were not. Under Georgia law (O.C.G.A. § 40-6-315), no person shall operate or ride a motorcycle without a helmet. 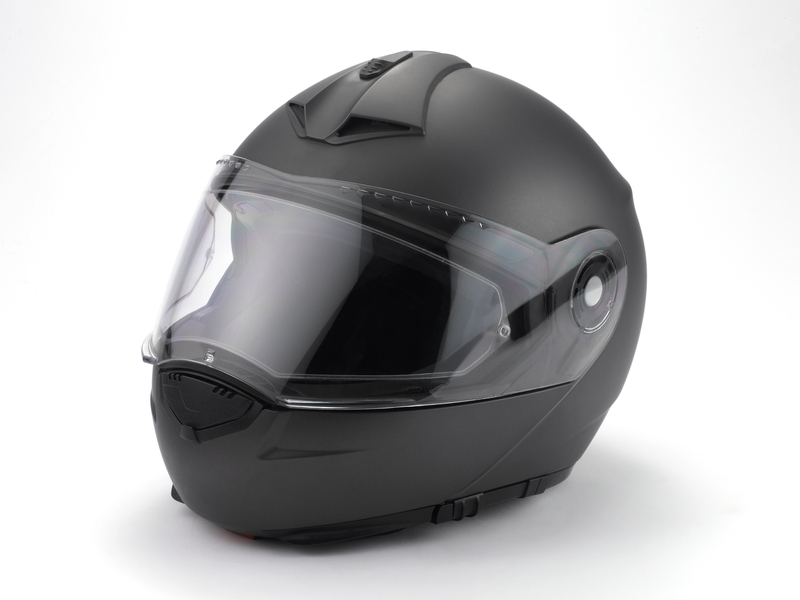 Georgia is considered to be one of the more regulated states regarding helmet laws; and while many riders may not appreciate Georgia’s conservative approach, as Georgia motorcycle accident attorneys who have represented countless numbers of injured motorcycle riders, we do see that helmets save lives (and necks). At Kaine Law, we represent motorcycle riders who have been injured in motorcycle accidents. If you are a motorcycle rider or motorcycle passenger, we encourage you to always wear a motorcycle helmet as cervical spinal cord injuries can be life changing or deadly.